The effectiveness of California’s Film & TV Tax Credit Program 2.0 in retaining and attracting in-state production has been affirmed in an annual progress report recently released by the California Film Commission. – Employment – in terms of hours worked in-state by below-the-line crew members. Program year-three continued the long-term growth trend with a 15.6 percent increase in hours worked in 2017 compared to 2014 (the year before Program 2.0 began). This growth builds on 2016’s 12 percent increase over 2014. These figures are based on data for below-the-line workers including Teamsters, IATSE members, basic crafts and others covered under the Motion Picture Industry Pension & Health Plans. In addition, Los Angeles-area sound stages are operating at near capacity (as reported by FilmL.A. ), which is leading to substantial growth in construction for new stages and production support facilities. – Big-Budget Films (over $75 million) – which are a target for the uncapped incentives offered by other states and countries. 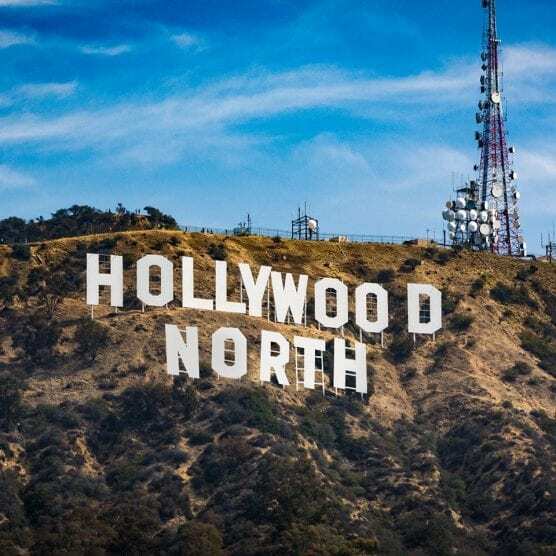 During year-three of Program 2.0, California attracted five additional big-budget films (“Call of the Wild,” “Captain Marvel,” “Ford v. Ferrari,” “Island Plaza” and “Once Upon a Time in Hollywood”). To date, the expanded tax credit has attracted a total of 10 big budget films. – Relocating TV Series – which have their own dedicated allocation of tax credits. During year three of Program 2.0, California attracted two additional relocating TV series (NBC’s “Timeless” from Vancouver, and Amazon Studios’ “Sneaky Pete” from New York). To date, the expanded tax credit program has gained a total of 15 relocating TV series from across the U.S. and Canada. – Production Activity Statewide – for which Program 2.0 provides an added incentive uplift. During the program’s first three fiscal years, tax credit projects spent a total of more than $78 million in 19 counties outside the Los Angeles 30-Mile Zone. This figure will continue to rise as more tax credit projects for year-three (and prior years) report their out-of-zone spending. “The report shows that Program 2.0 is working over the long-term to create high-quality production jobs and increase production spending in California,” said California Film Commission Executive Director Amy Lemisch. designed to do by keeping us competitive and reminding the industry that California has everything needed to provide the best value,” Lemisch said. In total, $815 million in tax credits have been allocated by the state during the first three fiscal years of Program 2.0. This investment is on track to generate nearly $6 billion in direct in-state spending (up from $3.7 billion in spending through fiscal year-two). The latest $6 billion figure includes $2.25 billion in qualified wages and $1.89 in qualified vendor expenditures, along with $1.85 billion in other expenditures that do not qualify for tax credits. Collectively, productions that have been allocated tax credits under Program 2.0 are on track to employ more than 18,000 cast and 29,000 crew members. The full 42-page Progress Report is available at http://film.ca.gov/news-notices/reports-studies/. It provides an overview of Program 2.0 through its third year (FY 2017-18). Sections cover approved film and TV projects, a breakdown (by project category) of tax credits allocated, and a summary of project spending. The report also provides an overview of the Program’s Career Readiness Requirement, an analysis of projects that applied but were denied tax credits (due to insufficient supply), and a summary of new provisions for the recently-enacted Program 3.0, which will go into effect when Program 2.0 sunsets in 2020. NOTE: Year-four of Program 2.0 began July 1, 2018 (the start of the state’s new fiscal year). The most recent tax credit application period was held Oct. 15-19 for feature film projects. Projects approved for California tax credits are selected based on their jobs ratio score, which ranks each project by wages to below-the-line workers, qualified spending for vendors, equipment, etc., and other criteria. The top 200 percent ranked projects in each round (i.e., those that would qualify if double the amount of funding was available for the current allocation round) are evaluated, and those with the highest-ranked jobs ratios receive tax credits. Those not selected are placed on the waiting list. The program allocates funding in “buckets” for different production categories, including non-independent films, independent films, TV projects and relocating TV series. This enables applicants to compete for credits directly against comparable projects. As has been the case since the state launched its first generation tax credit program in 2009, the California Film Commission awards tax credits only after each selected project: 1) completes post-production, 2) verifies that in-state jobs were created, and 3) provides all required documentation, including audited cost reports. On Sept. 18, 2014, Governor Brown signed bipartisan legislation to more than triple the size of California’s film and television production incentive, from $100 million to $330 million annually. Aimed at retaining and attracting production jobs and economic activity across the state, the California Film and TV Tax Credit Program 2.0 also extends eligibility to include a range of project types (big-budget feature films, TV pilots and 1-hr. TV series for any distribution outlet) that were excluded from the state’s first-generation tax credit program. Other key changes include replacing the prior lottery system with a “jobs ratio” ranking system that selects projects based on wages paid to below-the-line workers, qualified spending (for vendors, equipment, etc.) and other criteria. Program 2.0 also offers an additional five percent tax credit for nonindependent projects that shoot outside the Los Angeles 30-mile zone or have qualified expenditures for visual effects or music scoring/track recording. The five-year Program went into effect on July 1, 2015, and is currently in its fourth fiscal year (2018/19). More information about California’s Film and Television Tax Credit Program 2.0, including application procedures, eligibility and guidelines, is at http://www.film.ca.gov/tax-credit/. The California Film Commission enhances California’s status as the leader in motion picture, television and commercial production. It supports productions of all sizes/budgets and focuses on activities that stimulate and preserve production jobs, spending and tax revenues in California. Services include administration of the state’s Film & Television Tax Credit Program, permits for filming at state-owned properties, an extensive digital location library, location assistance and a range of other productionrelated resources and assistance. More information is available at http://www.film.ca.gov.